Passover, also called Pesach in Hebrew, is a major Jewish festival that commemorates the exodus of the Jews from Egypt, led by Moses who parted the Red Sea and led his people to the promised land of Israel. It is called “Passover” because before leaving Egypt Jewish families were spared, or 'passed over', by God from the last of the Ten Plagues brought upon Egypt which was the death of every family’s first born child. The holiday is marked chiefly by the Seder Feast and the eating of matzah, or unleavened bread. It begins on the 14th day of the Jewish Calendar month of Nisan which is in early Spring. The Seder Feast is the ritual banquet conducted on both the first and second evenings of Passover. Its major feature is the reading of the Haggadah, which relates in detail the events of the Exodus of the Jewish people form ancient Egypt. Sukkot, a Hebrew word meaning “booths” or “huts,” refers to the annual Jewish festival of giving thanks for a bountiful fall harvest and commemorates the 40 years of Jewish wandering in the desert after the giving of the Torah atop Mt. Sinai. Jewish families build "sukkahs" or temporary shelters and eat their meals in them for seven days often sharing their food with extended family and friends. Easter is the most important festival in the Christian calendar. It celebrates the resurrection from the dead of Jesus Christ, three days after he was crucified on the cross. The Easter story is at the heart of Christianity. It is celebrated on the firstSunday of a full moon day after March 21. 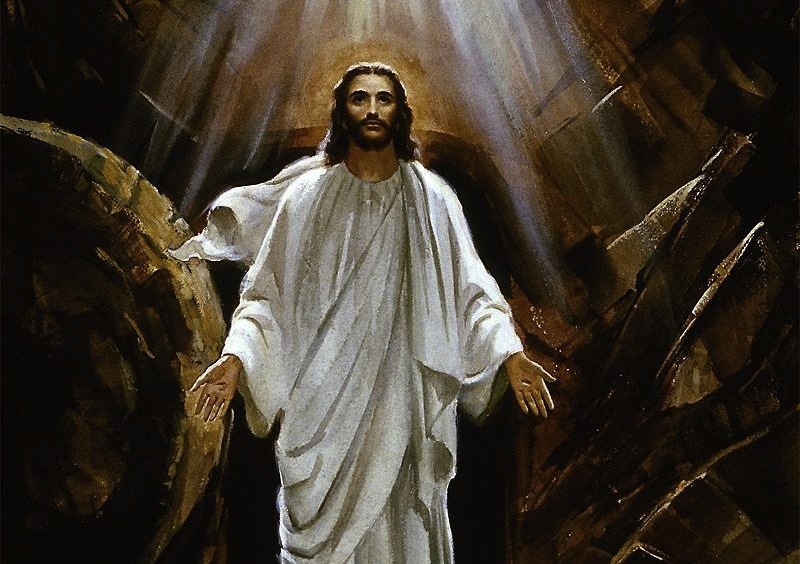 Accrding to Christian Doctrine, Jesus' death and resurrection symbolizes not only the sacrifice Jesus made for all mankind but the belief that all believers will be resurrected after death and enjoy an eternal 'life' in Heaven. Traditional celebrations of the festival include an elaborate Sunday mass recounting the story of the Crucifixion and Resurrection. In many countries Christians reenact the Crucifixion with processions through the streets of their towns and villages. One more vital feature of Easter is the Easter Egg which symbolizes resurrection for the Christian community. However, the Easter Egg Hunt and Easter Bunny are traditions more closely related to early Pagan religions. after Easter that the apostles were praying together and the Holy Spirit descended on them. They received the “gift of tongues” – the ability to speak in other languages – and immediately began to preach about Jesus Christ to Jewish people from all over the world who flocked to Jerusalem for the Feast of Shavuot. Christian Pentecost became not only a commemoration of the Holy Spirit’s visit but also marks the birth of the Christian Church. It is also known as Whitsunday or Whit Sunday. Ramadan, the ninth month of the Islamic Calendar year is a "month of blessing" marked by prayer, fasting, and charity. Ramadan focuses on self-sacrifice and devotion to Allah (God). During the month of Ramadan, Muslims all over the world abstain from food, drink, and other physical needs during the daylight hours. As a time to purify the soul, refocus attention on God, and practice self-sacrifice, Ramadan is much more than just not eating and drinking. More than 1 billion Muslims, worldwide, are called upon to use this month to re-evaluate their lives in light of Islamic guidance. They strive not only to make peace with those who have wronged them or been wronged, but to strengthen ties with family and friends and change their lives for the better in the eyes of Allah. Eid-al-Adha, also known as the Feast of Sacrifice, commemorates Ibrahim’s (Abraham) willingness to sacrifice his son to God. This festival also marks the end of the Hajj pilgrimage to Mecca. It is a time for prayer, sharing meals, handing out gifts and wishing one another well. Holi (also called Holaka or Phagwa) is an annual festival celebrated on the day after the full moon in the Hindu month of Phalguna (early March). It celebrates spring, commemorates various events in Hindu mythology and is time of disregarding social norms and indulging in general merrymaking. Holi is the least religious of Hindu holidays. During Holi, Hindus attend a public bonfire, spray friends and family with colored powders and water, and celebrate together the bonds of friendship, joy and community. The Sun Dance is a traditional Lakota Siuox ceremony that is now widely practiced among Native American peoples of the Great Plains. It represents and celebrates the traditional Sioux New Year in mid-summer and the great circl of life and death. It is typically marked by up to 28 days of fasting, purification rituals and group dancing. The ceremony, depending on the Native-American tribe, might include ritual piercing, representative of the sacrifice that the individual makes for the good of the tribe and for the honor of Mother Earth and the role of women in the giving of birth. Vesak is the most sacred holy day of Buddhism. Also called Visakha or Wesak, the celebration is an observation of the birth, enlightenment and death of Bhuddha. For Buddhists, the celebraiton is to be marked by a rededication to the dharma and the Eightfold Path. Monks and nuns meditate and chant the ancient rules of their orders. Laypeople bring flowers and offerings to the temples, where they may also meditate and listen to talks. In the evenings, often there will be solemn candlelight processions. In some countries the religious observances are accompanied by parties, parades and festivals. Temples and city streets may be decorated with countless lanterns. The most common ritual of Vesak is "washing the baby Buddha" commemorating the moment of his this birth when he stood up, pointed up and down and declared he would unite heaven and earth. A small standing figure of the baby Buddha, with the right hand pointing up and the left hand pointing down, is placed on an elevated stand within a basin on an altar. People approach the altar reverently, fill a ladle with water or tea, and pour it over the figure to "wash" the buddha.